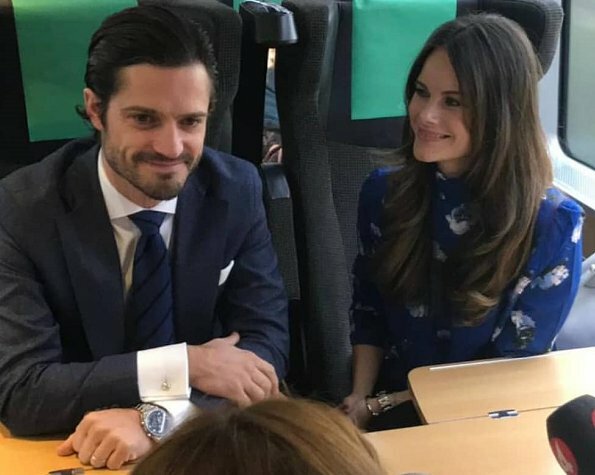 On October 19, 2018, Friday, Prince Carl Philip and Princess Sofia visited Värmland. 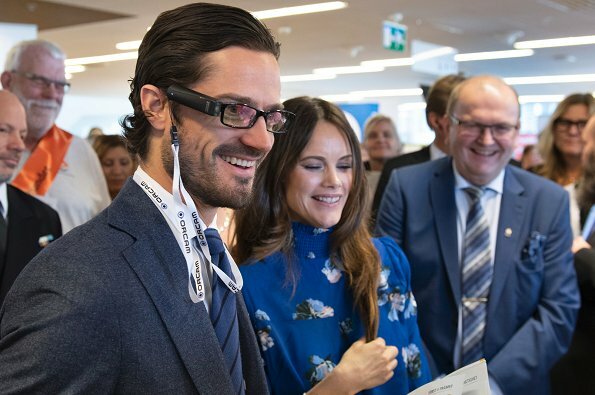 Prince Carl Philip began the visit by opening Dyslexia Fair in Karlstad. At the fair, there are stands designed to help people with reading, writing and counting disorders, and different products may be tried at the stands. 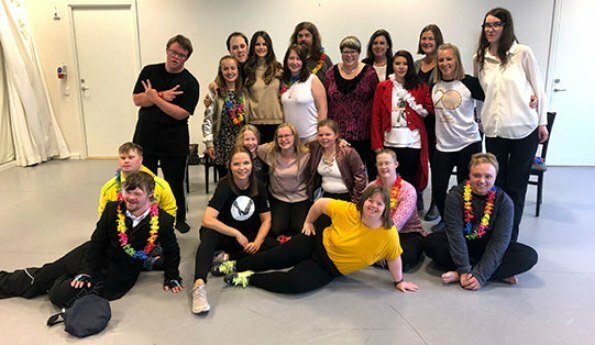 Princess Sofia visited Karlstad Dance Society. 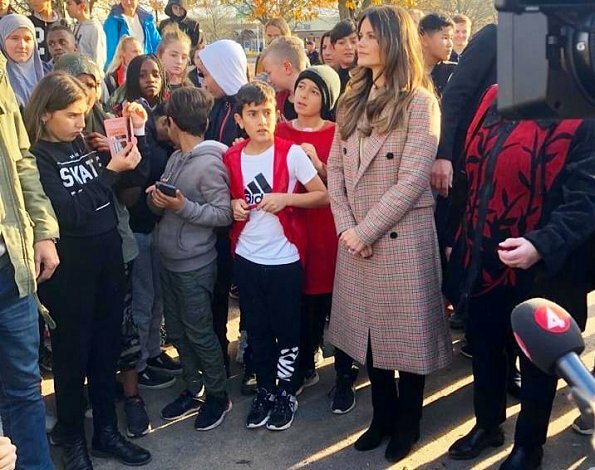 Afterwards, Princess Sofia went to Frödingskolan in Kronopark district which is at a distance of nearly 7 kilometers from Karlstad city center and met with secondary school teacher Soran Afrasiabi who carries out a sports project for children. 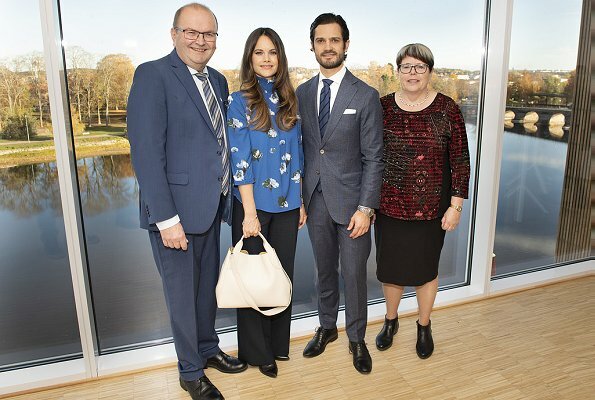 Prince Carl Philip and Princess Sofia attended a dinner at County Governor's official residence, hosted by the Governor of Värmland, Mr Kenneth Johansson. Sophia's hair is shiny, baggy tops again. Isn't she pregnant again? 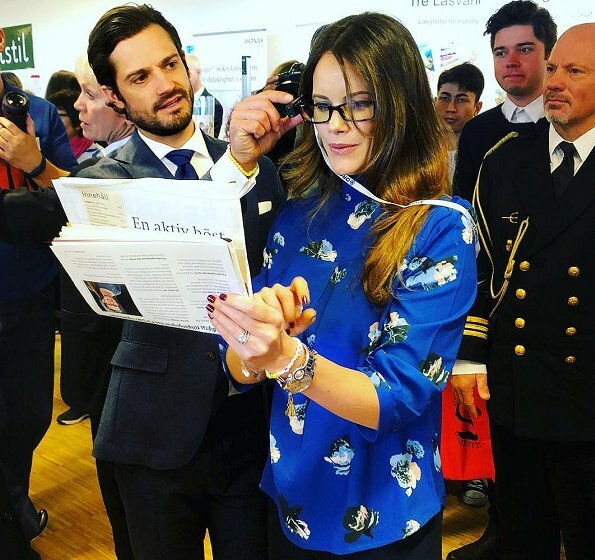 Je pense aussi que Sophia est enceinte, une autre sortie m’y a fait penser. That was my thoughts seeing the last few days posts, that she is expecting. I like the blue color of her blouse but high neck requires hair up. I really like this blue blouse the pattern is very nice too. 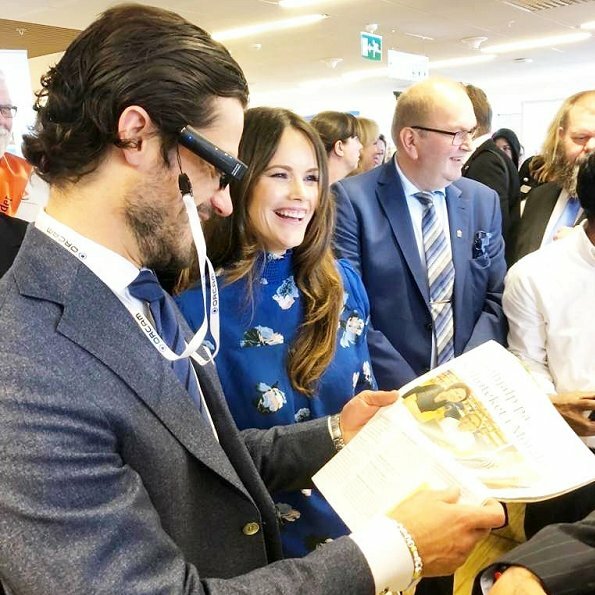 I like that both interact very well with the people especially with the children. 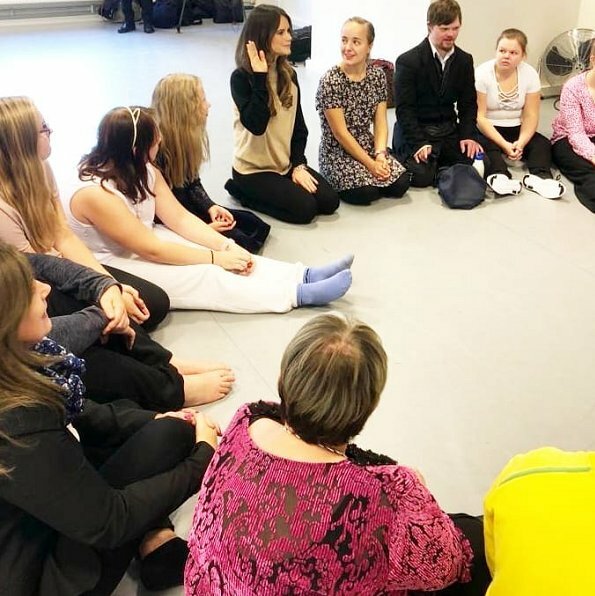 Glad they shine light on Dyslexia so the children in need get the help they need. 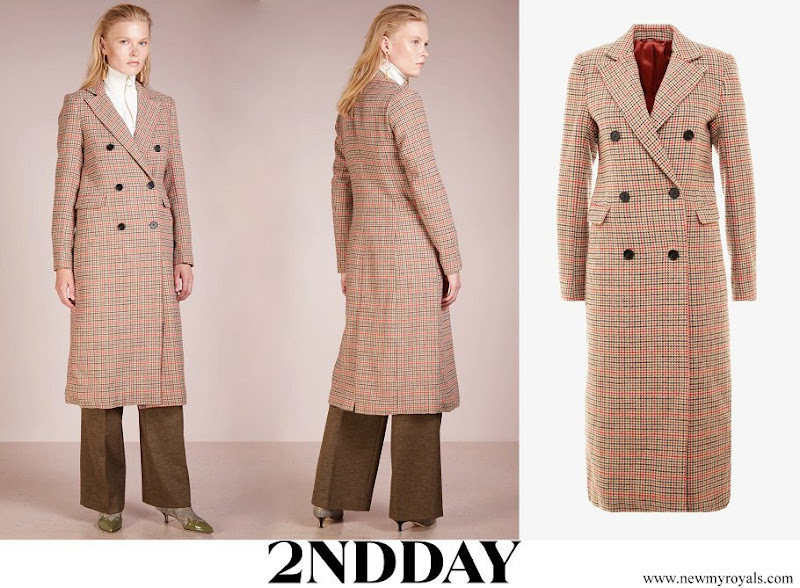 It is nice that both visit their Duchy every year or even on private visits. 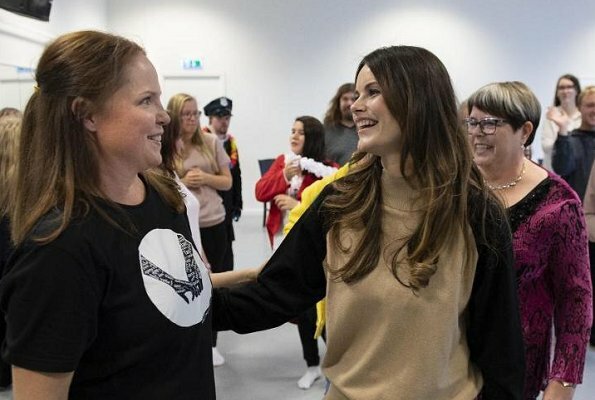 Agree that Sofia looks pregnant. And her top is a great color and the pattern distracts from her waist. 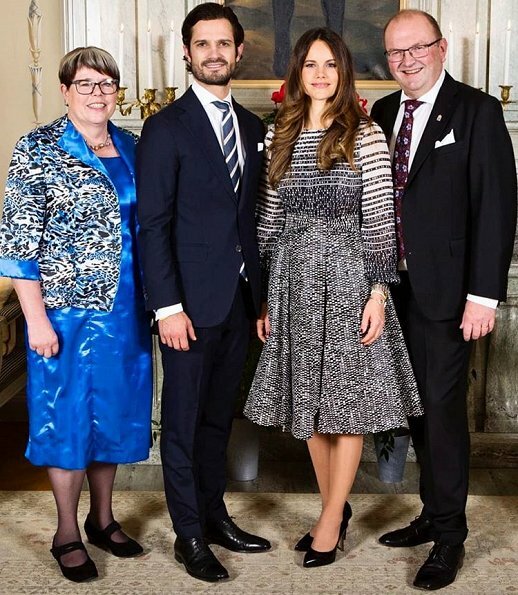 At the Dinner she wore the Lars Wallin dress, it sure takes the focus of her waistline if she is really pregnant. If she is it would be great maybe a 3rd boy? in that case we should be hearing something in a few weeks or so. The evening dress is awful, but I do not think she is wearing it to hide anything. She looks lovely during the day time events. She looks fantastic!!! Hard to believe she has two very young children. That blue blouse really brings out her eyes. 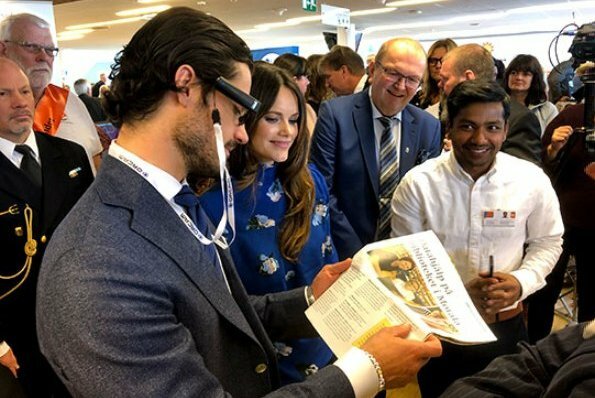 And it is wonderful to see them visit their Duchy.